Democracy prevailed at the Indo-Chinese border. Hopefully, this becomes a trend. Finally, diplomacy has prevailed. After almost three weeks of standoff, India and China decided to maintain the status quo along their ill defined border and withdraw troops from their respective camps in the Daulat Beg Oldi area of Ladakh in eastern Kashmir. The agreement was reached after two weeks of intense parlays. 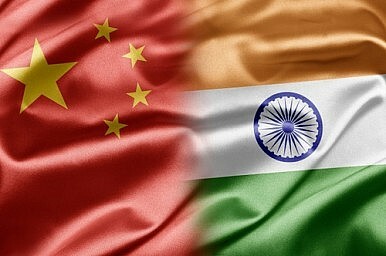 The agreement paves the way for Indian Foreign Minister Salman Khursheed’s visit to China, which commenced today, as well as the planned visit of Chinese premier Li Keqiang to New Delhi on May 20, his first foreign trip since assuming the role. The channel also quotes sources who said that the standoff stemmed from the failure of India and China to exchange maps of the western and eastern sectors of the LAC. According to the Financial Times, New Delhi claimed that 30 Chinese troops, supported by helicopters, set up tents 19 kilometers inside territory it normally holds near the disputed border in Ladakh. In response, Indian forces surrounded the Chinese camp. The incident at the undefined border created hysteria in the country with political parties and hawkish experts accusing the Congress-led government of going soft on China. Critics suggested that New Delhi had allowed its neighbor to gain a strategic advantage at the Kashmir border. Debates on television and commentary in newspapers urged the government to take a stand and use military intervention to push the Chinese back. The crisis at the border came at a time when the government is facing hostile opposition on several domestic issues. To its credit, the government in New Delhi maintained its composure and withstood domestic pressure on the matter. This represents a departure from the recent tendency for domestic political pressure to virtually dictate New Delhi’s foreign policy. For instance, India could not sign the Teesta Water Treaty with Bangladesh last year due to opposition from Mamata Banerjee of West Bengal, raising doubts in Bangladesh about India’s ability to stand by its ally. Domestic voices have also opposed the Constitution Amendment Bill that would ratify the land boundary agreement between India and Bangladesh. Meanwhile, India’s relationship with Sri Lanka has been plagued by regional politics in the southern state of Tamil Nadu, where support from the Dravida Munnetra Kazhagam (DMK) regional party is important for the survival of Prime Minister Manmohan Singh’s government in New Delhi. DMK leaders have protested the Congress-led government’s stance on Sri Lanka’s alleged war crimes. The Congress-led government voted in favour of the U.S.-sponsored UN Resolution, calling for Sri Lanka to address "continuing reports of violations of human rights" in the country, including threats to judicial independence and media intimidation. This vote has since strained India-Sri Lanka relations. India’s ties with Pakistan have also been strained. The recent death of an Indian prisoner in a Pakistani jail has invoked nationalist sentiments in India against its western neighbor, prompting political opposition and the media to pressure the government to slowits push to increase contact and commerce with its neighbor. Yet, all is not lost. While domestic politics and media pressure have taken a toll on diplomacy in many cases, the recent stand-down with China on the Ladakh border is an improvement and perhaps signals a diplomatic shift. Khursheed’s visit to China this week and Li’s upcoming visit to New Delhi will be telling. An Evolution in China-India Relations?India-China Border EngagementThe Afghan National Unity Government’s ‘China Card’ Approach to Pakistan: Part 2China Is Winning the War for Nepali BuddhismCan India Use Boycotts to Pressure China on Terror?